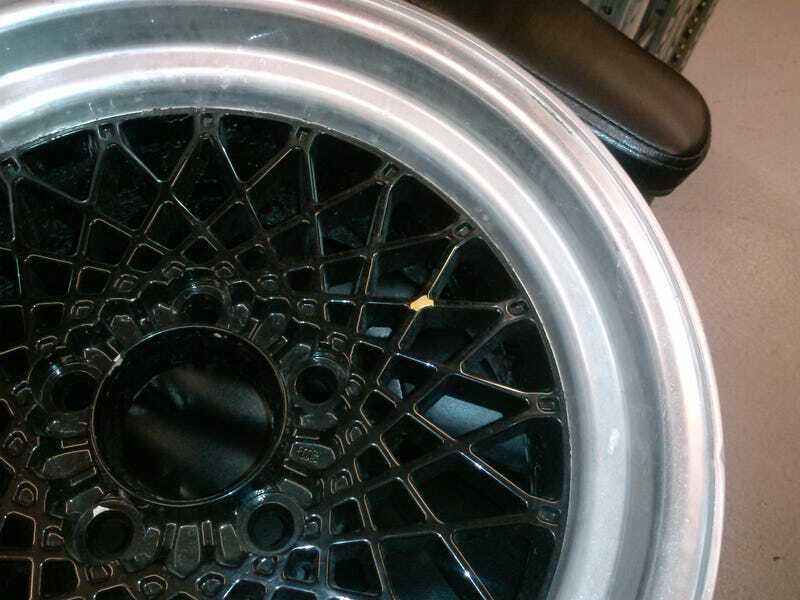 Pretty sure the BLACK wheels I won on eBay were all BLACK in the pictures, and weren't painted over GOLD. Oh well, only paid $80 for both with shipping and I wasn't expecting concourse perfection, so I'll just touch them up. At least they are round and run true on the wheel balancer.